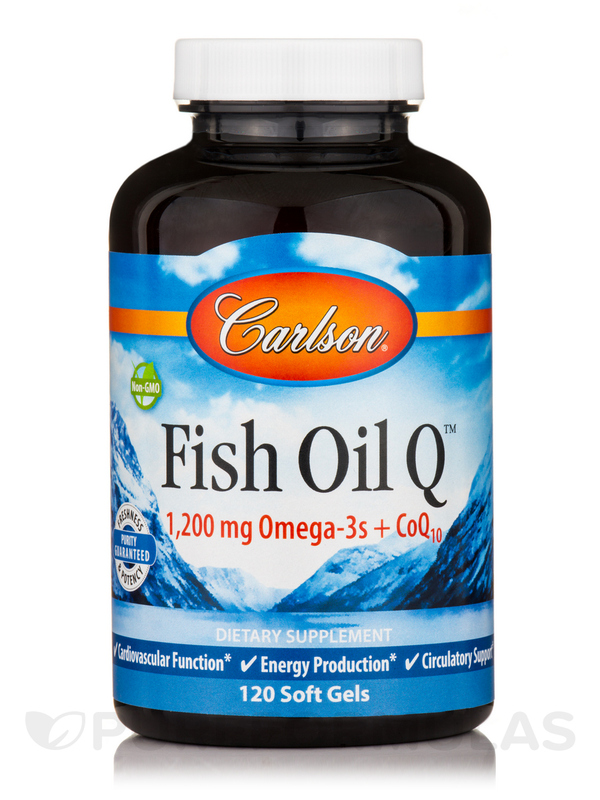 Fish Oil Q™ combines the important omega-3s EPA and DHA with coenzyme Q10. 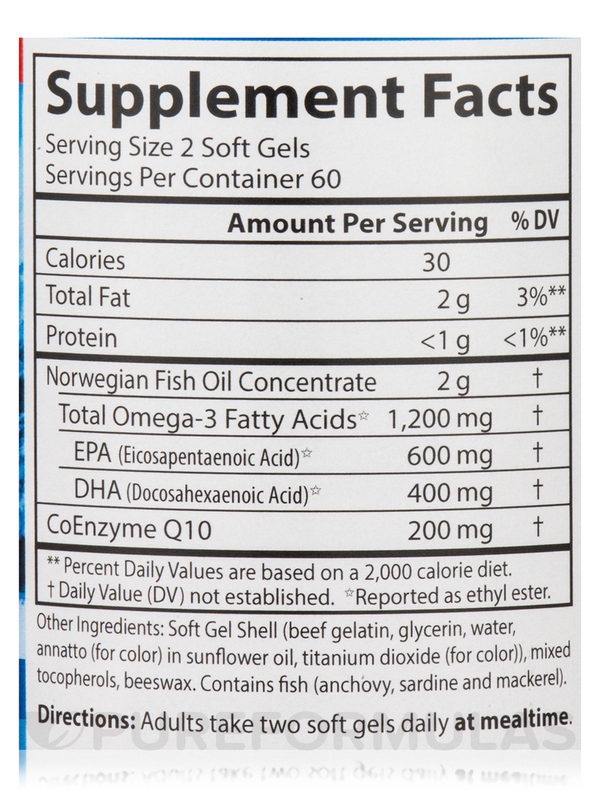 EPA and DHA help maintain a healthy‚ stable heart; healthy blood vessels and circulation; arterial wall elasticity; and healthy triglyceride levels. 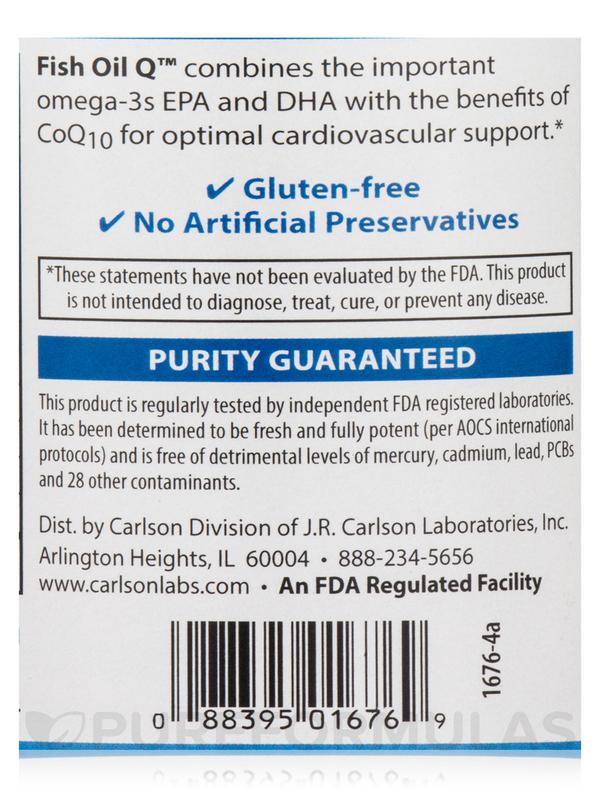 CoQ10‚ short for "ubiquinone‚" which means "found everywhere‚" is a vitamin-like substance made in the body. 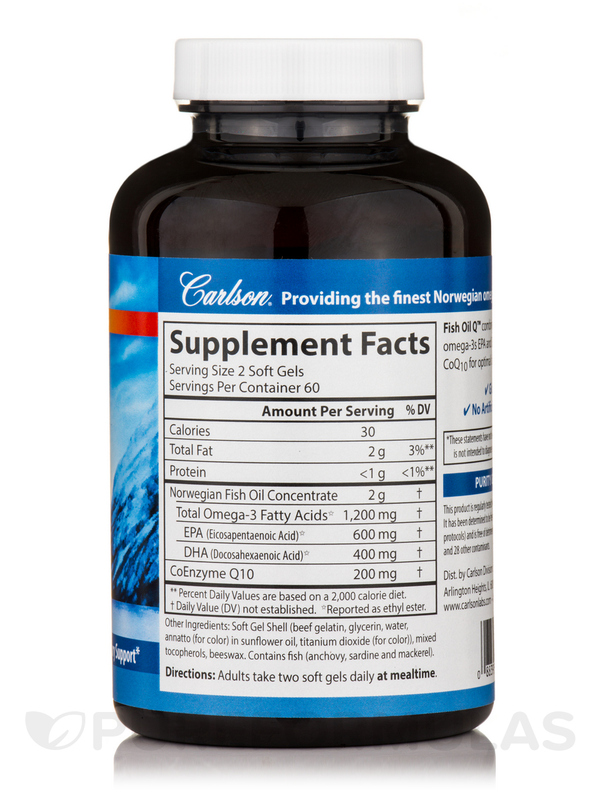 It plays a key role in the production of chemical energy in the mitochondria‚ the powerhouse of the cell. This means it's important for every cell in the body‚ and‚ therefore‚ just about every function. 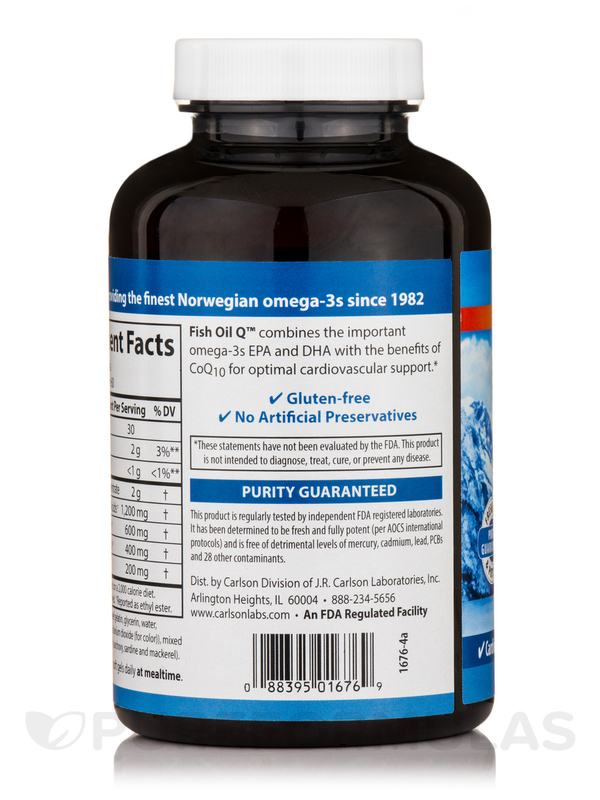 CoQ10 also promotes healthy cardiovascular system function. Other Ingredients: Soft Gel Shell (beef gelatin‚ glycerin‚ water‚ annatto (for color) in sunflower oil‚ titanium dioxide (for color))‚ mixed tocopherols‚ beeswax.